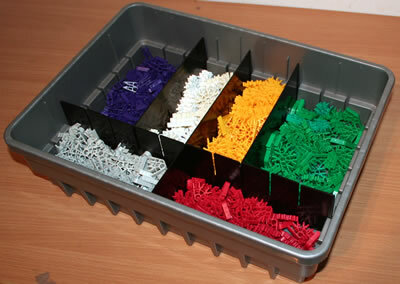 We hold 1.5 million genuine new K'NEX parts in stock. 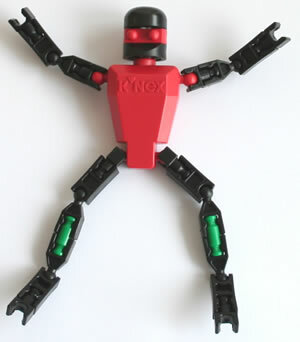 Our aim is to ensure that as many K'NEX users worldwide are able to obtain the parts they need, when they need them, at a reasonable price. Available: only 128 means that once our stock of 128 of this part is sold, we are unlikely to be able to obtain more stock of this part. Available: 128 means that once our stock of 128 of this part is sold, we hope to able to obtain new stock. Available: at least 128 means that we are making 128 of this part available at the reduced price shown. Once these are sold, we will make more stock available, but we may not be able to offer it at the same reduced price. 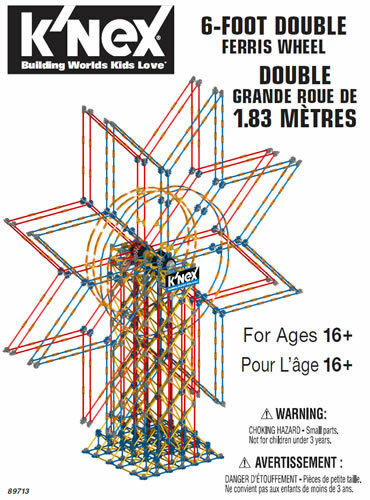 Available: limit of 128 means that this is a hard-to-obtain part. Rather than allow a single customer to buy all our stock, and thereby disappoint everyone else, we impose a limit on the quantity that can be ordered by any one customer. If you have a requirement for more than the "Available" quantity shown for any part, please email us before you place your order, and we will try to assist in whatever way we can. Many thanks.